Maruti Suzuki Autoprix (Season1) concluded on a high note at the Buddh International Circuit, Greater Noida with Bikku Babu, clinching the winning title. The young champion, emerged victorious after gruelling preliminary rounds across 7 cities, spanning all four zones in India. Dr. Bikku Babu was driving a Baleno RS and clocked a total of 183.557 seconds. Chasing the lead at the second position was Samrat Yadav and the third position was bagged by Aabhishek Mishra. The season 1 of the Maruti Suzuki Autoprix rallied across the country with the first round kicking off from the garden city of Bengaluru last September. It went on to travel across 7 cities in India, touching the length and breadth of the country. It is heartening to see the overwhelming response and participation that Maruti Suzuki Autoprix (Season 1) has been able to garner across the country. We aim to encourage safe, yet fun and thrilling racing experiences and enable budding motor enthusiasts to hone and test their skills in a controlled environment. I congratulate the indomitable spirit of all the participants who put their mettle to test. There is an increasing enthusiasm in the country towards motorsports and we have a commendable pool of talent. It is our objective to cultivate this talent by providing them with a safe and exhilarating platform. Maruti Suzuki Autoprix 2017 (Season 1) was spread over 6 months, comprising of 7 city rounds covering Bengaluru, Pune, Coimbatore, Chandigarh, Guwahati, Gurugram and Indore. The finale of Maruti Suzuki Autoprix concluded in Greater Noida at the Buddh International Circuit on the 25th of February. 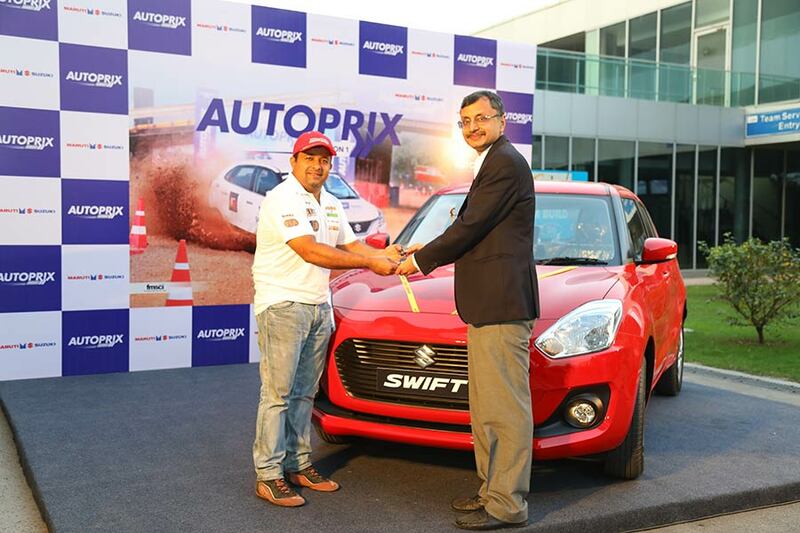 The national champion of Maruti Suzuki Autoprix 2017 (Season1) bagged the all new Maruti Suzuki Swift while there were cash prizes for respective category winners.